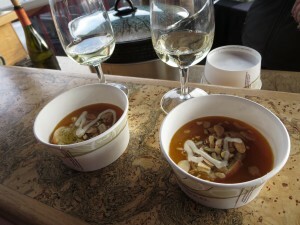 A friend and I checked out the last weekend of Taste the Season 2014 yesterday. After feeling a bit disappointed last weekend, I’m happy to report that yesterday’s outing was up to the standards that I’ve come to expect of such events. 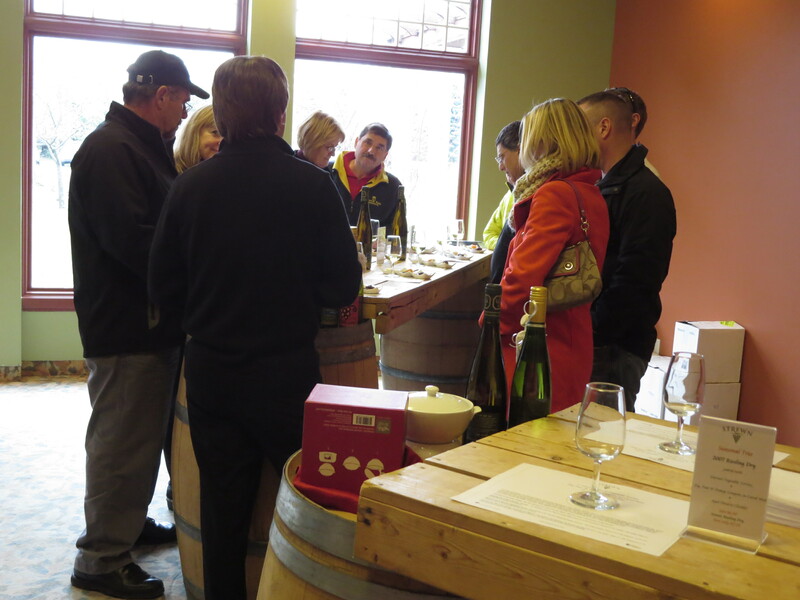 Most of the wineries yesterday were a lot quieter than the previous weekends of the event – perhaps because folks were out taking advantage of Black Friday sales. Mind you, the fact that the wineries were less crowded might have also been one of the reasons we enjoyed it more than the previous weekend. 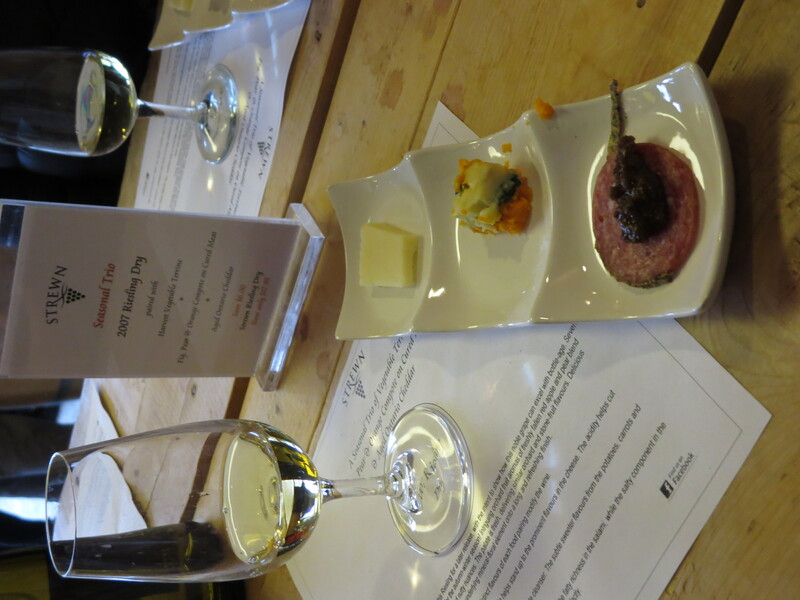 I’m also really pleased to say that after ragging about the fact that some wineries were doing a lame job in terms of the effort they put into serving the food they were featuring – yesterday was much better. Indeed – hats off to Strewn – they did a magnificent job. 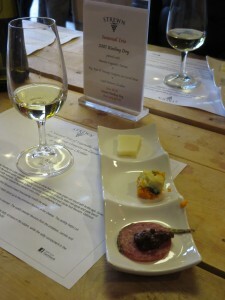 They are running Taste the Season in their Cooking School facilities where they’ve created proper place settings with information about the wine (a 2007 “intentionally aged” Riesling). When guests arrive, a member of the staff pours the wine and carefully describes it and the Canadian-sourced trio of nibbles that are plated on unique-shaped dishes. Well done! 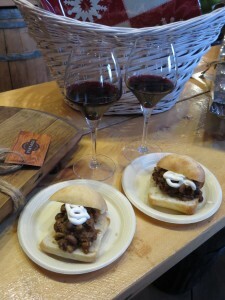 My favourite wine of the day was the PondView 2012 Bella Terra Cabernet Franc, which is on sale for the event. 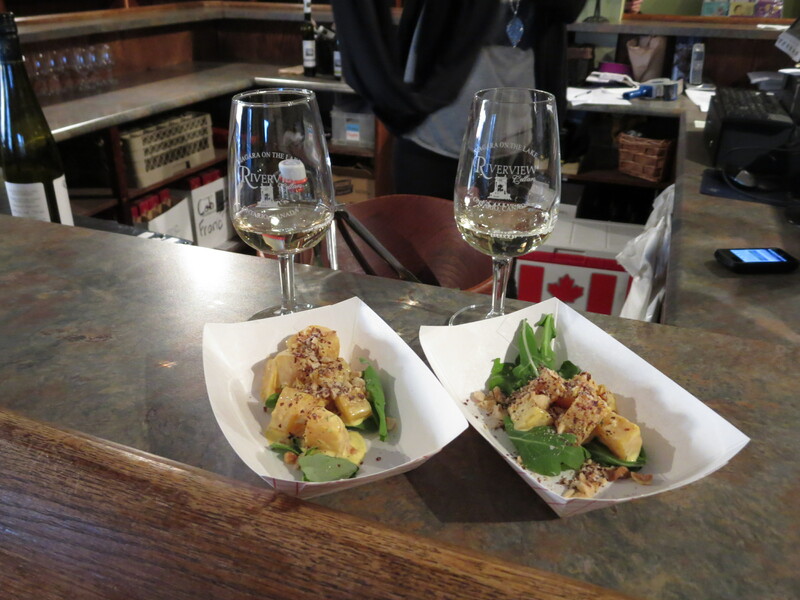 My favourite pairing was at Riverview Cellars, which was serving its 2013 Sauvignon Blanc with a golden beet salad on a bed of arugula. 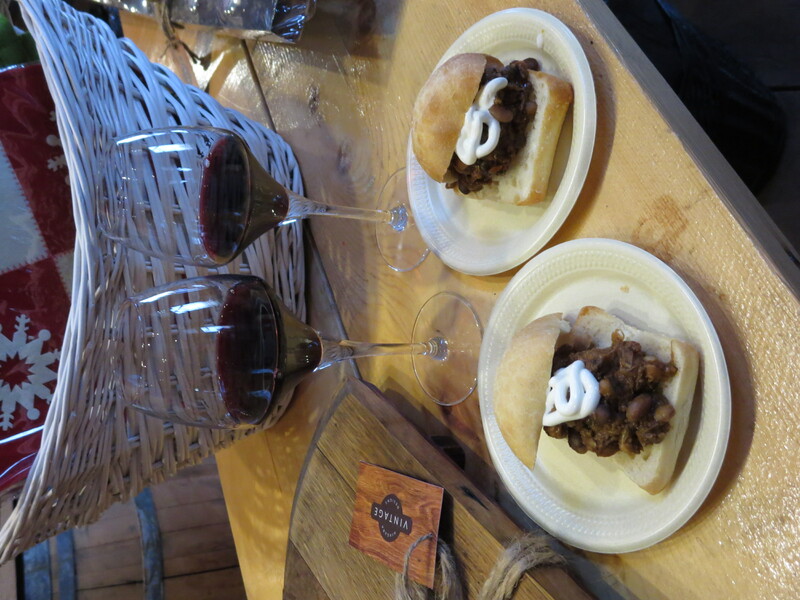 Today is the last day of Taste the Season 2014, so there’s still time for you to get out and enjoy. 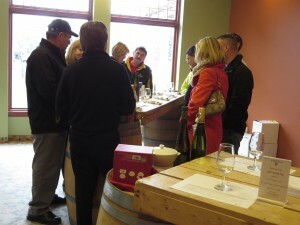 And don’t forget – many of the wineries are running their own Black Friday-type specials. I took advantage of one such sale at Riverview – they’re offering any three of their VQA wines for $35 – that’s a great deal! I brought home 3 of their 2013 Sauvignon Blancs, which are normally $16.95/each. Great pictures – looks like so much fun!